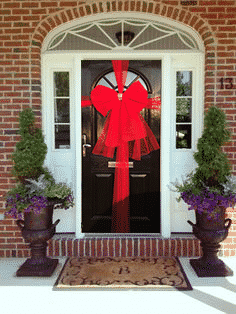 Red Door Bow available with next day delivery – decorate your door this Christmas with our beautiful Door Bow. Arrives ready to attach to your door, simple instructions are included and normally takes less than 10 minutes. 1 x Hand-made Red Door Bow. 1 x Set of easy fitting instructions. 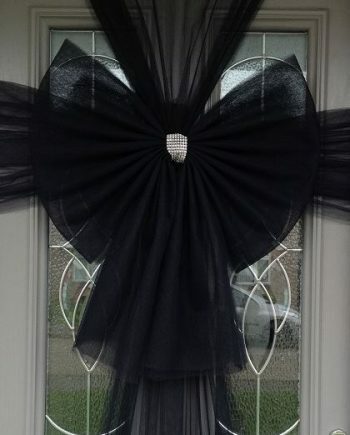 Our Beautiful Door Bow has been professionally designed to add a beautiful elegance to your front door, shop windows or garage. Perfect for making your entrance stand out this Christmas! 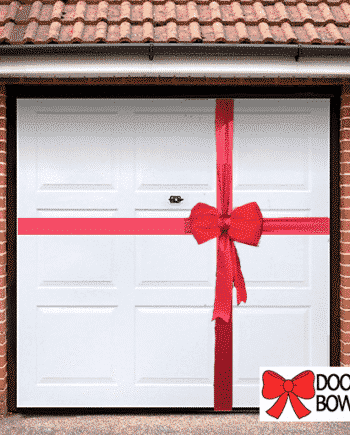 Our in-house UK door bow team hand make each Red Door Bow ensuring that each bow matches our custom design specification, giving you piece of mind that the bow you receive will look and perform great! The Door Bow is approximately 50cm wide, and the wings are 40cm tall. The big red bow includes a beautiful silver coloured sparkling diamante centre knot to add the perfect finishing touch to your door decor. The Red Door Bow arrives ready to attach to your door, simple instructions are provided with this kit. The bow can be attached of centre allowing easy access to your door letterbox. Our big red bow is made of a weather resistant net that will not shrink or droop in rain, they are not made of a standard organza material that does not have such qualities you often see online. 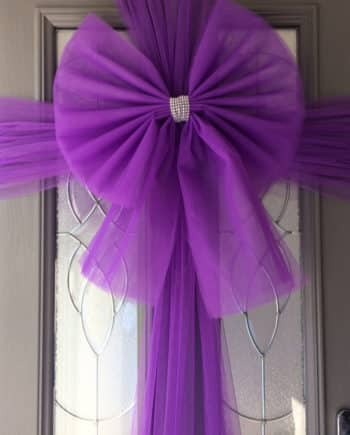 Many of our customers reported their BIG door bows being in place for many months with no change to the quality and they have packed carefully to use again next year. 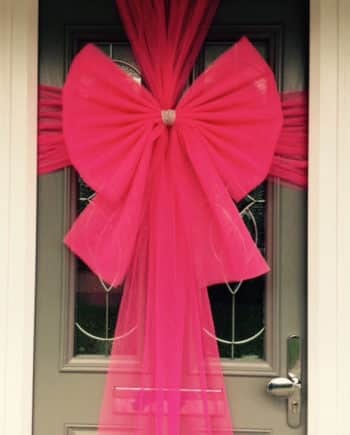 This door bow includes sufficient wrapping material to wrap doors in excess of 2m tall.